About ten years ago, Brian Lamb, founder of C-SPAN, had just interviewed the writer Frank McCourt. McCourt invited Lamb to head uptown on the subway. My mom sees them and introduces herself to McCourt as the mother of a former student (McCourt was one of my HS English teachers). En route uptown, they all chat and it makes such an impression on Lamb that he reached out recently and invited me to be a guest on his show Q & A. Below are three biographies of varying length. Also, in case it is helpful, Wasow rhymes with Picasso (or, if you know your African geography, Burkina Faso). Omar Wasow, 39, is a Ph.D. candidate in African American studies and Government at Harvard. His research focuses on race and politics, particularly in relation to education and crime. In addition, Omar is the co-founder and strategic advisor to BlackPlanet.com, a social network he helped grow to over three million users a month. Omar also works to demystify technology through regular TV and radio segments. In 2003, he helped found a K-8 charter school in Brooklyn. He is a recipient of the NSF Graduate Research Fellowship and the Aspen Institute’s Henry Crown Fellowship. He can be reached at owasow at gmail dot com. Omar Wasow, 39, is a Ph.D. candidate in African American studies and Government at Harvard. In addition to his graduate work, Omar is the co-founder of BlackPlanet.com and an on-air technology analyst. Under Omar’s leadership BlackPlanet.com became the leading site for African Americans, reaching over three million people a month. Omar also works to demystify technology issues through regular TV and radio segments on shows like NBC's Today, CNN's American Morning and public radio's Tavis Smiley show. Similarly, Omar tutored Oprah Winfrey in her first exploration of the Net in the 12-part series 'Oprah Goes Online'. In 1999, as a result of his active participation in a number of social issues, particularly the charter school movement, Omar was selected to be a fellow in the Rockefeller Foundation's Next Generation Leadership program. In fall 2003, a K-8 charter school that Omar helped found opened in his hometown of Brooklyn. In 2007, in recognition of the promise of his academic research, the National Science Foundation selected him for a Graduate Research Fellowship. Most recently, the Aspen Institute selected him for their Henry Crown Fellowship that recognizes emerging leaders. He received his BA in Race and Ethnic Relations from Stanford University. He can be reached at owasow at gmail dot com. 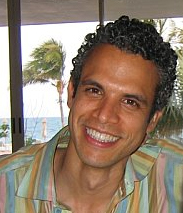 Omar Wasow, 39, is a Ph.D. candidate in African American studies and Government at Harvard. In addition to his graduate work, Omar is the co-founder of BlackPlanet.com and an on-air technology analyst. Under Omar’s leadership BlackPlanet.com became the leading site for African Americans, reaching over three million people a month. Omar also works to demystify technology issues through regular TV and radio segments on NBC's Today Show, CNN's American Morning and public radio's Tavis Smiley Show. Similarly, Omar tutored Oprah Winfrey in her first exploration of the Net in the 12-part series 'Oprah Goes Online'. Omar's success as a credible and friendly guide to the Internet led Newsweek to name him one of the "fifty most influential people to watch in cyberspace," and People magazine to call him the "Sexiest Internet Executive." Successful Meetings Magazine named him one of the "21 Top Speakers for the 21st Century." Martha Stewart and I discussed how technology can help people save money during the holidays on her show. What does the Perspective on Politics review say about my boy Keith Darden's new book? It's "a landmark," and "a remarkable contribution to the literature." The review does a great job of explaining why the book matters. The author points to two ways of reading the book. First, "the book is about how economic ideas shaped the mental models and preferences of governing elites of the post-Soviet states and, consequently, shaped the institutional arrangements of those countries." Second, you can "read it as an attempt to use the case of post-Soviet states as a vehicle for developing a very challenging theory of economic ideas..."
In sum: "The measure of Darden’s achievement is the fact that irrespective of how one reads the book—as an applied comparative politics study or as an effort at broad theory development—the conclusion is bound to be the same: It is a remarkable contribution to the literature." I am currently a Ph.D. candidate in African American studies and political science at Harvard. Previously, I helped launch BlackPlanet.com and the Brooklyn Excelsior Charter School. I can be reached at owasow at gmail dot com.